I discovered this lotion halfway through my pregnancy and loved the thickness of it–it worked way better for dry skin/itchiness than all the other stuff I had tried. Can’t comment on stretch mark prevention, other than to say I didn’t get any while I used it (wks 32-36), but after I ran out, stretch marks began to appear (Around 38wks), which obviously could’ve been coincidental. Either way, I wish I had bought more & will definitely get some for post-partum when it’s back in stock. Listen to the others and order at least 2!! 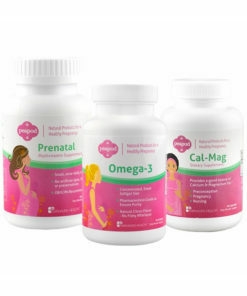 I’ve ordered this product twice now during my pregnancy and going to re-order again. It last about 2 months. I only put it on my belly, buttocks, and hips. So far no stretch marks has appeared on my stomach and no NEW stretch marks on my buttocks or hips (I’ve had stretch marks on my buttocks since puberty and some on my hips from a previous birth in which I did not really use any cream in this area). 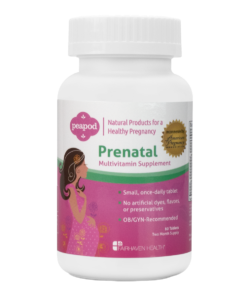 The smell is really great and I will be using this product even after my pregnancy! Helped w/ my PUPPPS Symptoms! I used the DreamBelly Butter in early pregnancy and during the winter when a combo of hormones and dry weather made my skin unbelievably itchy. It calmed my skin and it smelled amazing, so amazing in fact that I seriously think it needs a warning label because pregnant women *may* just want to eat it. Now that I’m beginning my 3rd pregnancy’s 3rd trimester, I’ve met a new-to-me pregnancy challenge, PUPPPS. This is the acronym for Pruritic Urticarial Papules and Plaques of Pregnancy. An understandable description would be: a pregnant woman’s skin feeling like burning with added gross, bumpy rash. I worried about my ability to effectively treat symptoms at home with a product that was safe for myself and baby. I. Was. Miserable. Clothes burned. The shower burned. Skin touching skin burned! I remembered my DreamBelly Butter, and I’m so thankful that I did. My PUPPPS symptoms have cleared completely in a little over a week, and I smell like a dream. I purchased this when I found out I was pregnant…So I started using it around 2 1/2 months and I am now 23 weeks and no stretch marks so far! It has a nice subtle smell and It feels niceon the skin. It is not greasy…more like a moisturizer and if you by chance buy the fetal doppler it works well with that as well. Definitely worth buying… The only wish there was a little more for the money but the 10% off helps with that! I’ve been using this product since I was 8 weeks and plan to continue using until baby arrives in July. It smells great, feels great, and most importantly keeps my skin hydrated all day long. 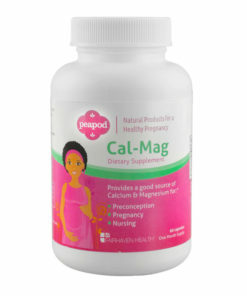 I would recommend this product to anyone looking for a good belly product! Great cream. A little pricey. Buy it on sale if possible. This cream is great for stretch marks before and after baby. It goes on thick, but is not greasy. The smell is light and feminine. I highly recommend it over Palmer’s and Burt’s Bees, though it costs more. My mom has stretch marks, so I anticipated that I would get them, too. I began using the DreamBelly butter to hopefully minimize them, and maybe, just maybe, not get them in the first place. I began using the belly butter around week 16 or so. I’m at nearly 34 weeks now, and I still don’t see any stretch marks. To me, that’s completely amazing because many of the women in my family told me to expect them. I figured it was a foregone conclusion that I’d get the family stretch marks, but so far, so good! I had stretch marks before i got pregnant,just from being overweight. However since I have been using the belly butter my old stretch marks seem less visible depending on how I’m standing looking in the mirror and I don’t have any new stretch marks. 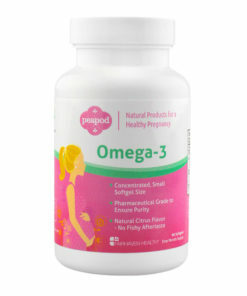 I have been using the product since I was 16 weeks and I am now 23 weeks, but I haven’t gained any weight. The butter is really creamy and leaves my skin feeling really moisturized all day, no itchiness or tightness. I would most definitely reccomend it and intend to buy more. Excellent. 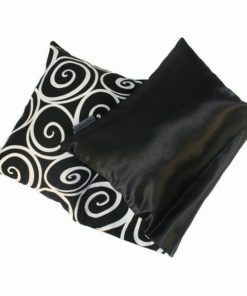 For places where you already have strech marks!! Excellent. I already have strech marks on few places of my body thats where I apply the butter and its not getting worse durring my pregnancy its actually getting lighter. I am already on my thrid container.